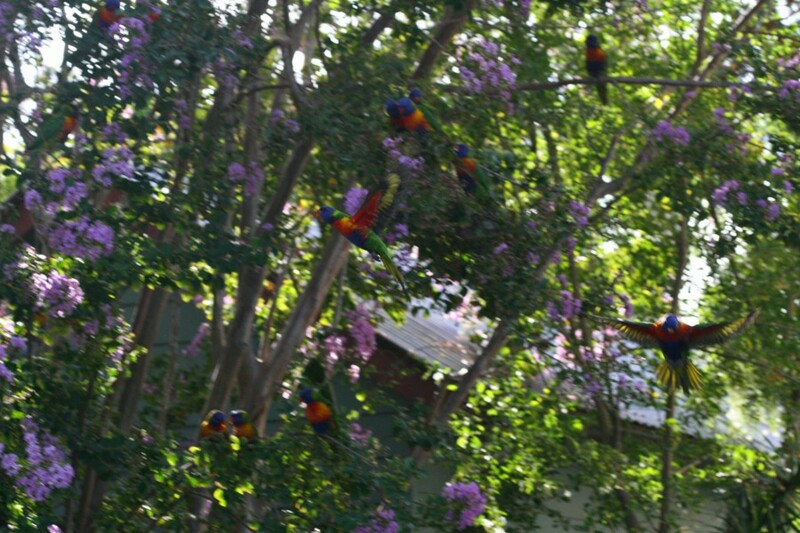 I was lucky to come across many lorikeet parrots having fun. Nearby my family home the neighbours keep many pets and also have a bird feeder. This has attracted many birds over the years. Today the crepe myrtle was in full flower, helping to add pastel colours to the photographs. Today I was finally able to master the art of photographic birds in flight too. This is the first time I have been able to capture a bird sharp and mid flight. Previous efforts had not yielded any quality results. Overall, the birds numbered in about 100, until the sun started to set.